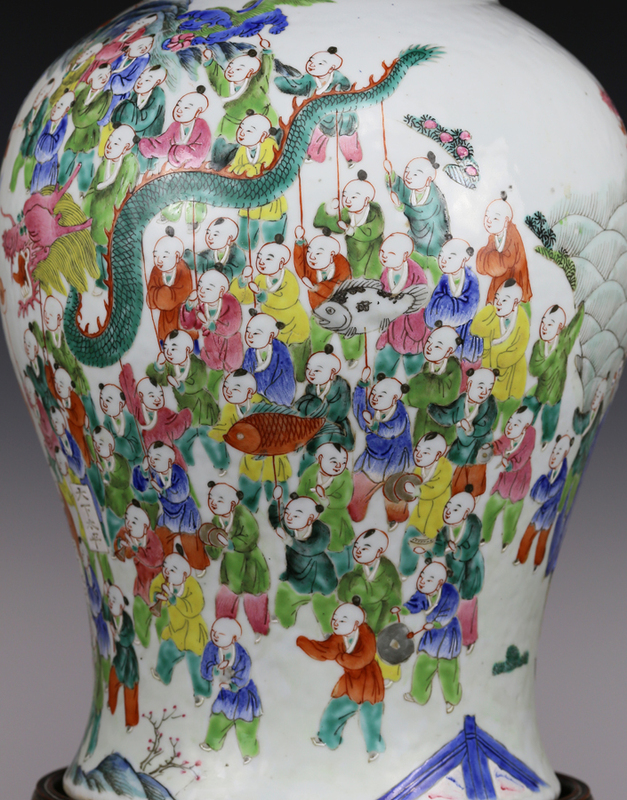 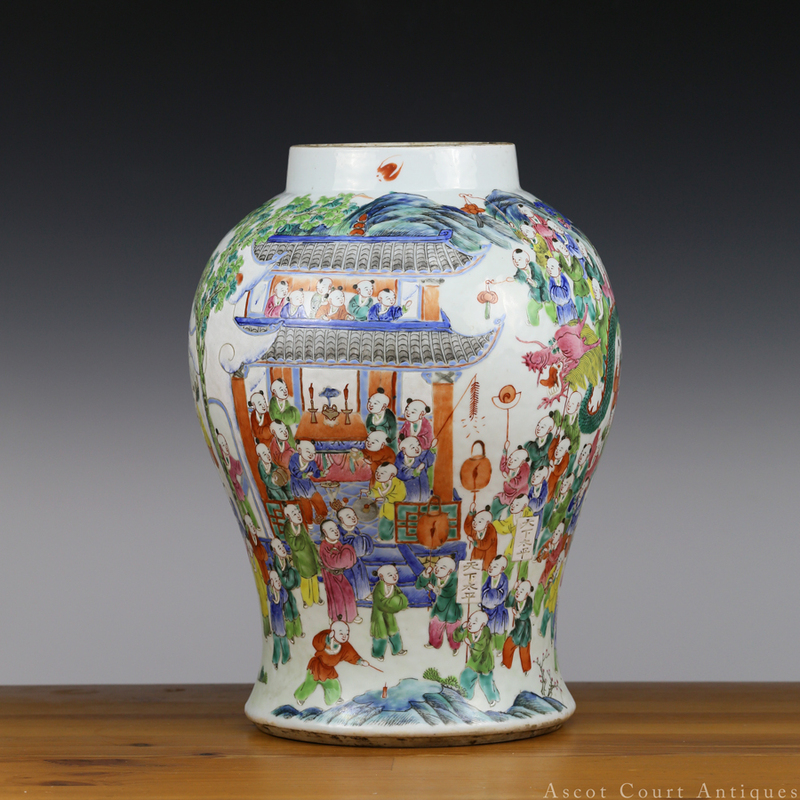 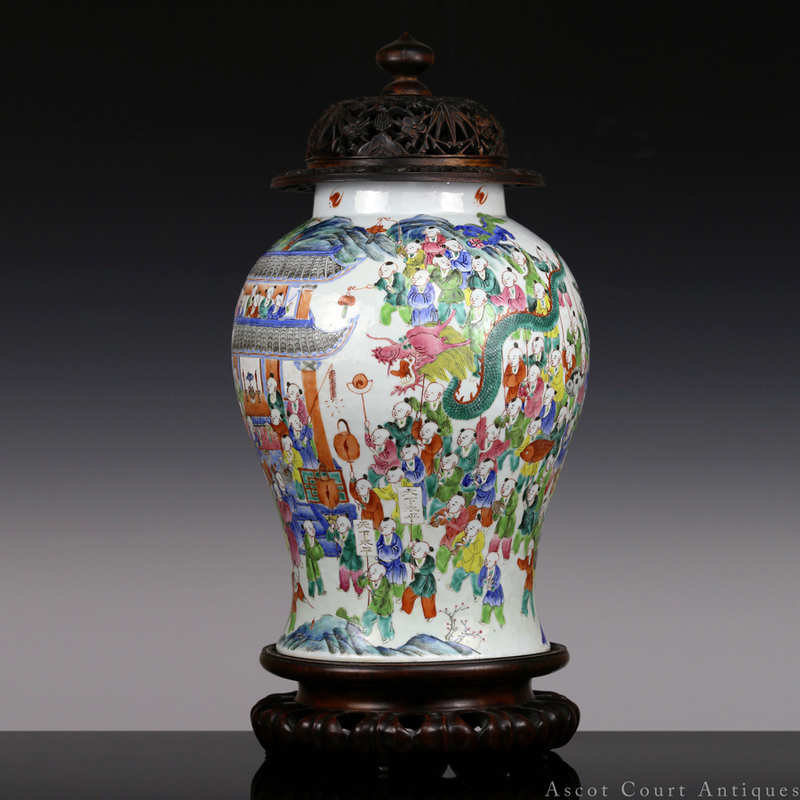 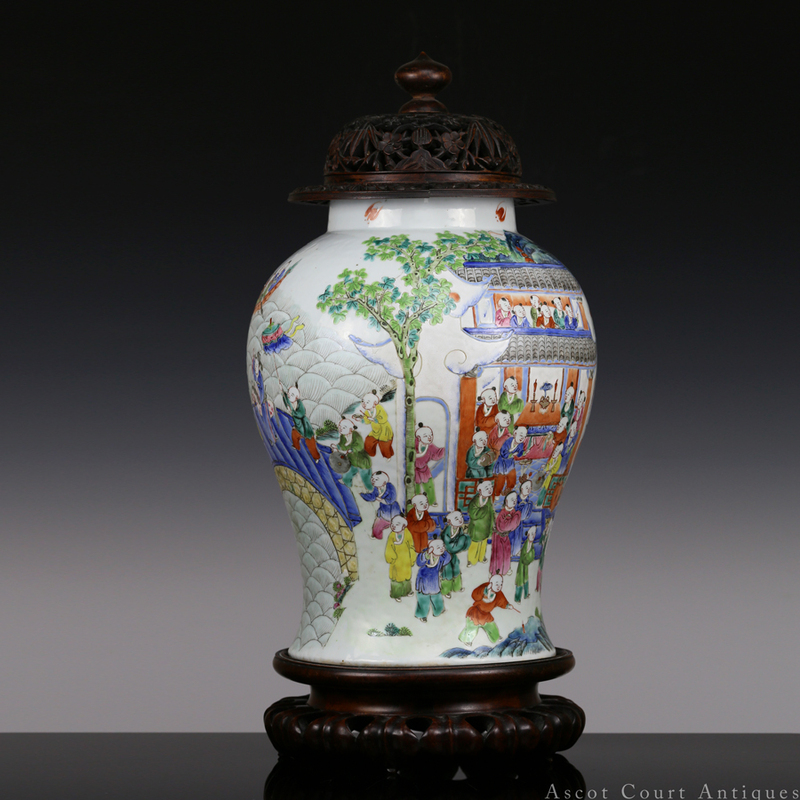 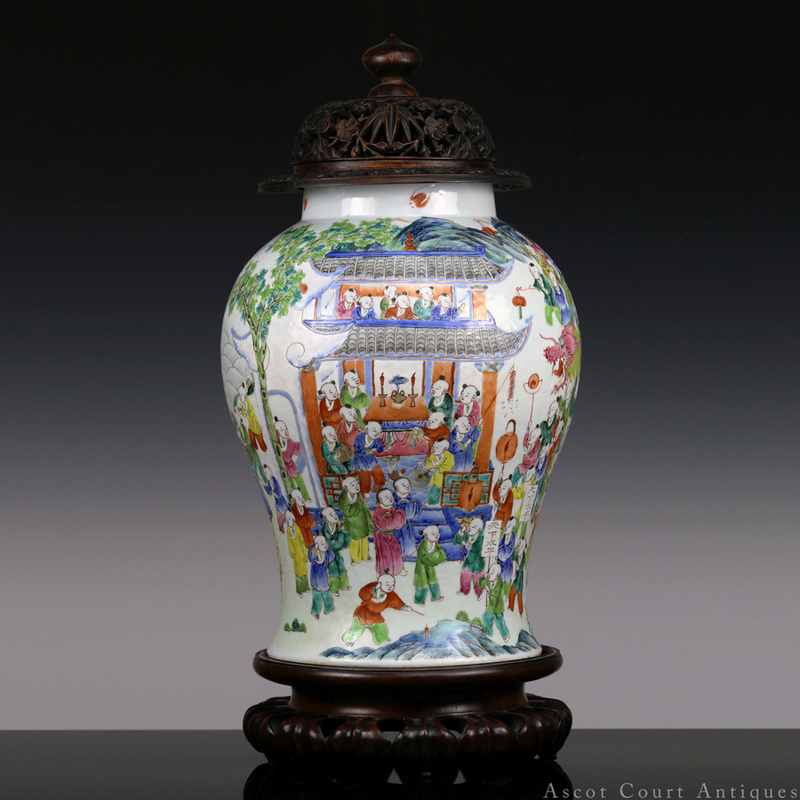 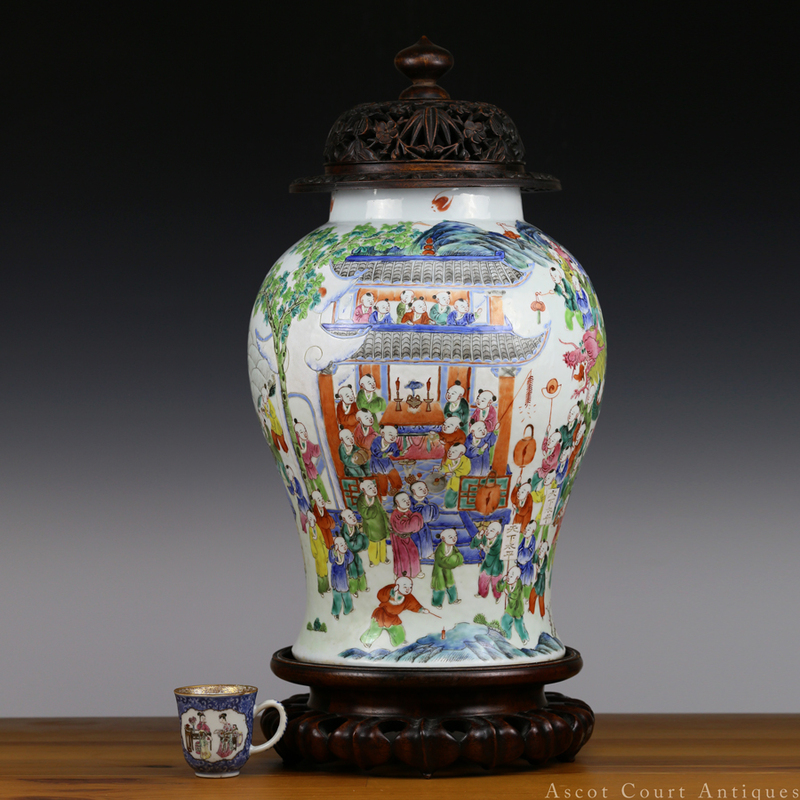 A large mid-Qing famille rose jar-vase, painted with a continuous scene of exactly a hundred boys at play, in a rousing and lively show of Chinese New Year celebrations. 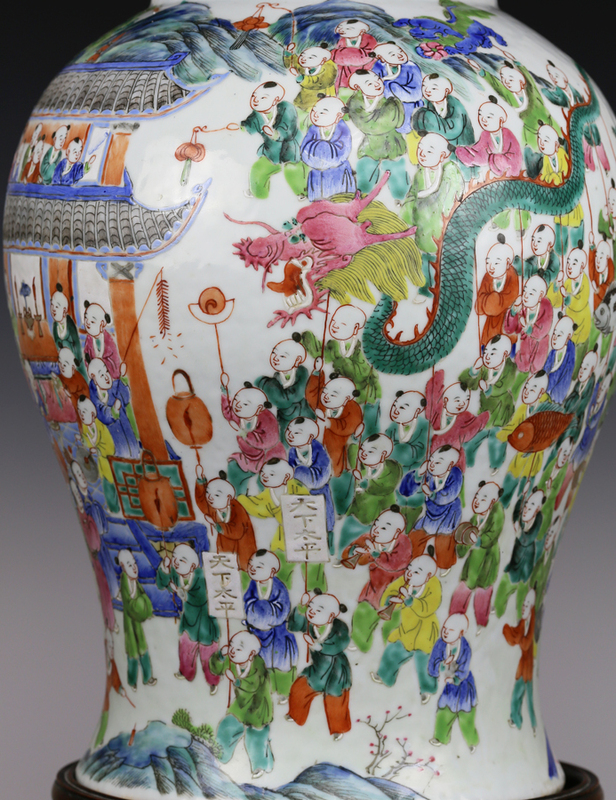 In a panorama wrapping entirely around the vase, the boys make offerings in ancestral halls, carry lanterns, set off fire crackers, play traditional instruments (such as the gong, cymbals, and suona), perform Dragon dances to ward off malignant spirits, carry banners that say ‘tianxia heping” (peace under heaven), and ride in dragon boats. 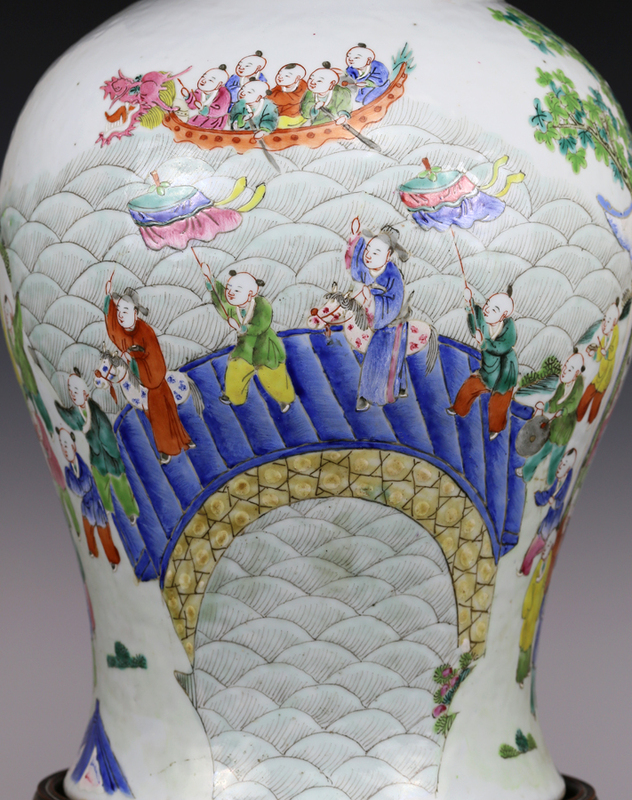 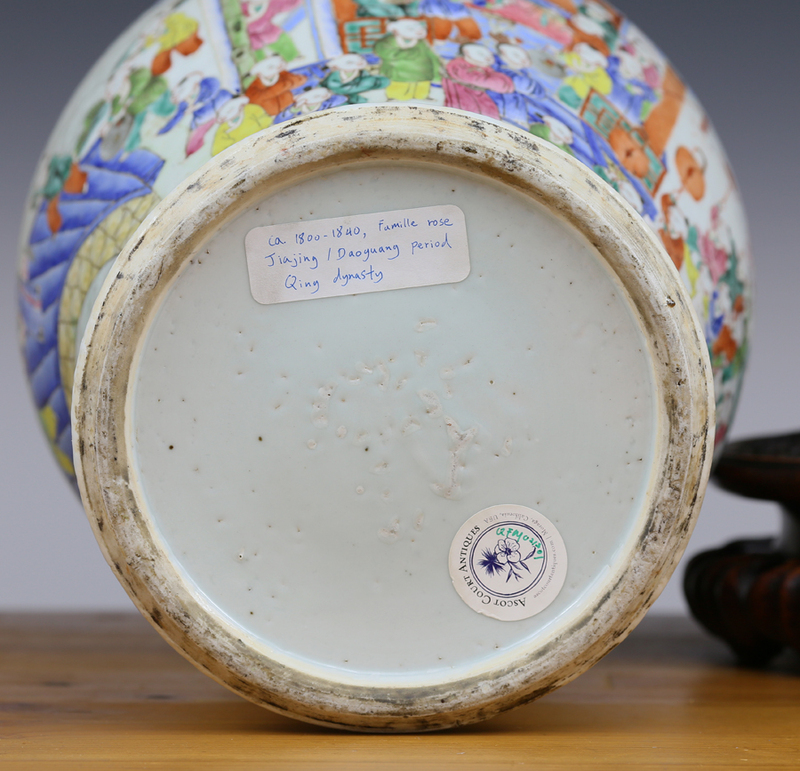 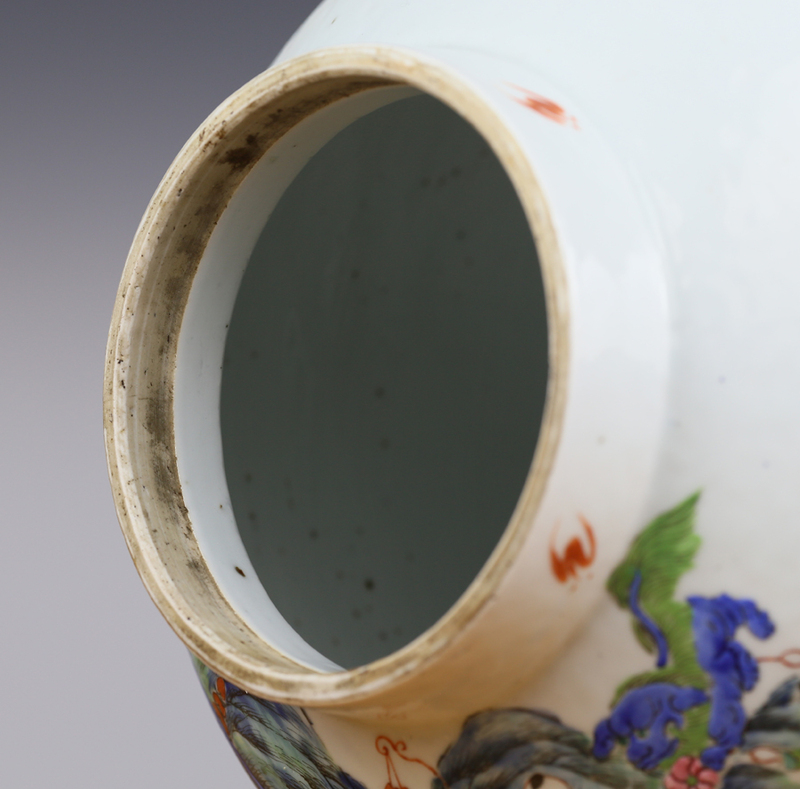 Extremely popular since the Song dynasty, the ‘hundred boys at play’ theme can be found on a variety of Chinese decorative arts. 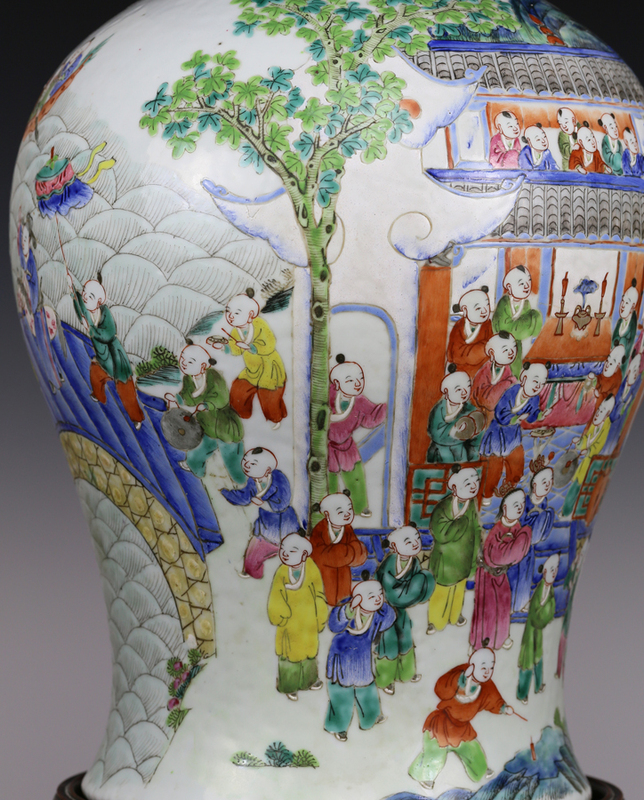 This theme’s origins can be traced to a legend about Zhou Wenwang, the founder of Zhou dynasty, who was blessed with 99 sons from 24 wives and adopted one more to have 100 sons. 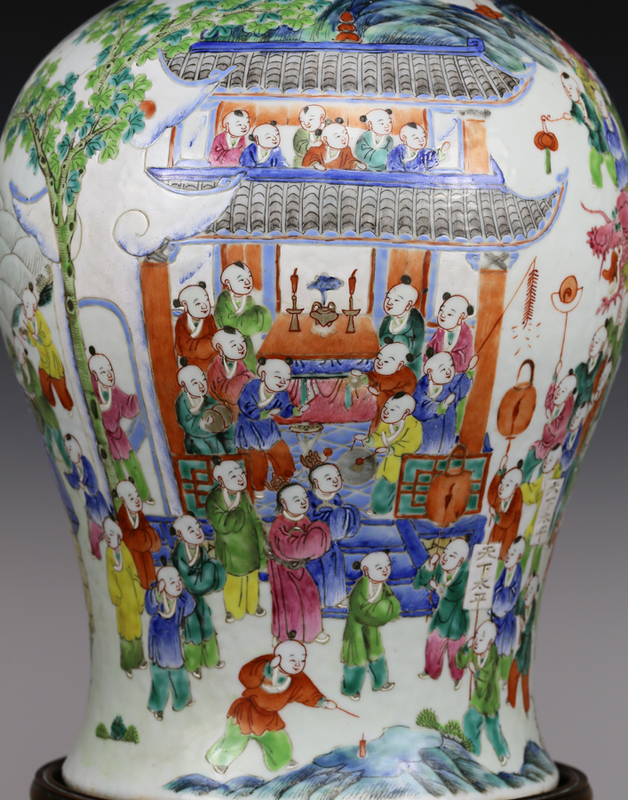 The enduring popularity of ‘hundred boys at play’ rests in its auspiciousness: the ability to have many sons represented abundance, wealth and status, and the longevity of one’s family name. 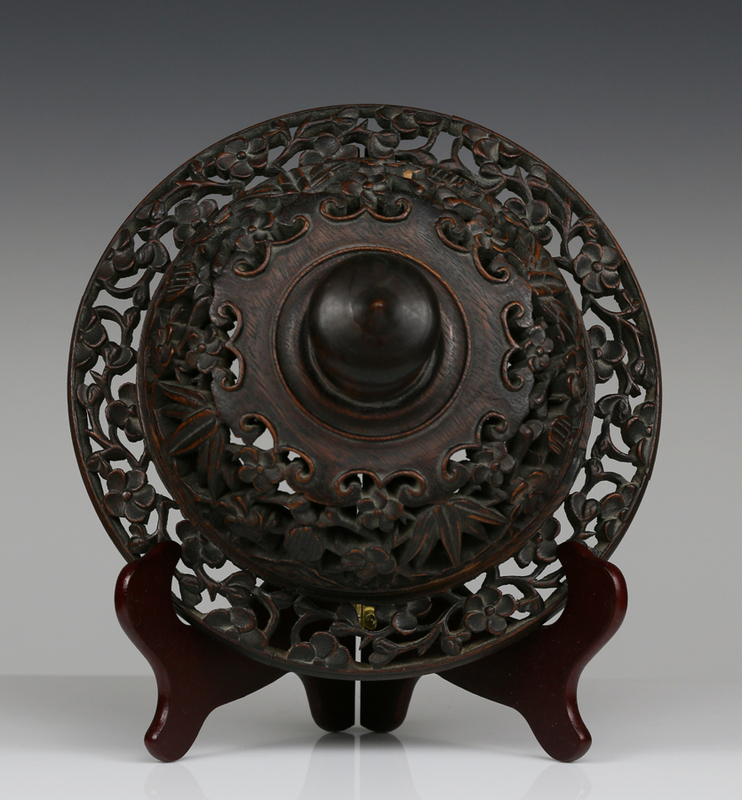 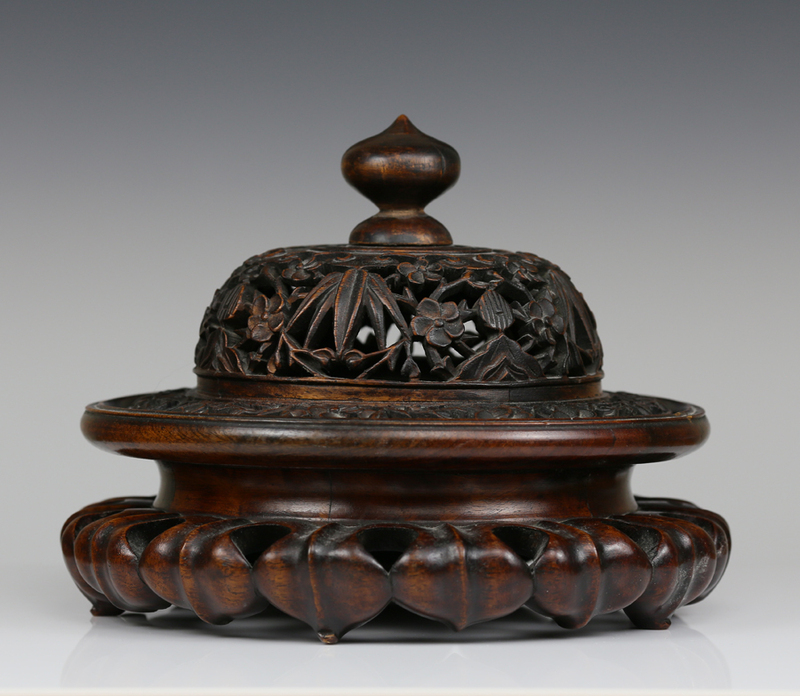 Carved reticulated wood cover and stand included.